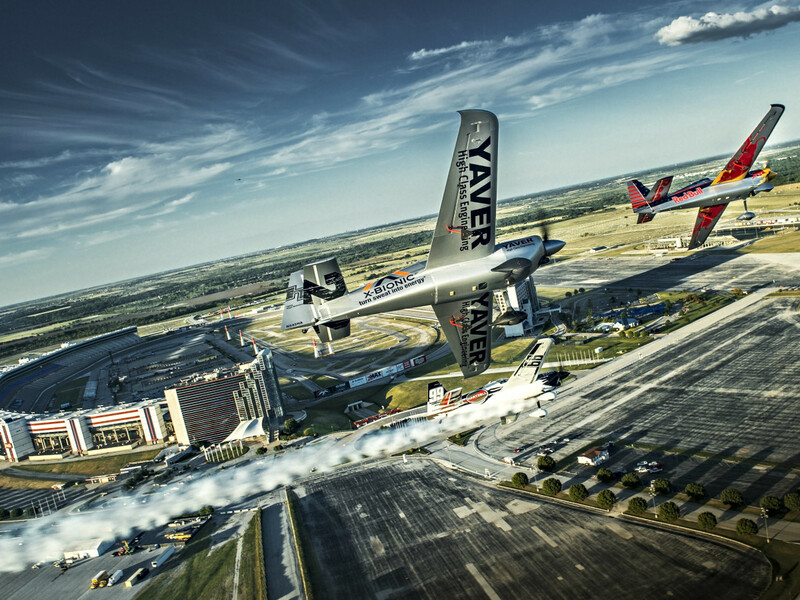 Up until last year, Red Bull had never attempted to stage an air race at a U.S. motor speedway. 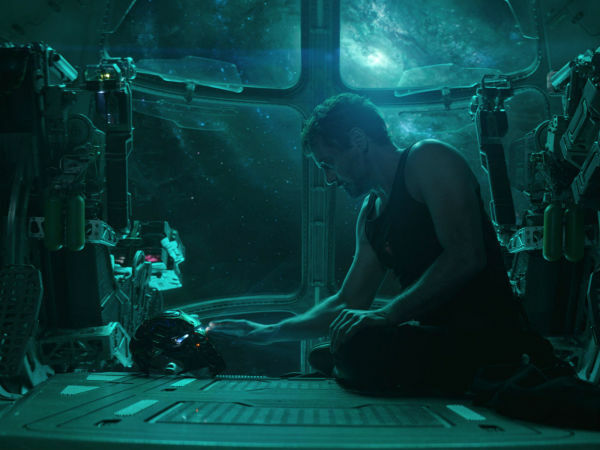 But then again, Red Bull is used to doing things that have never been attempted. 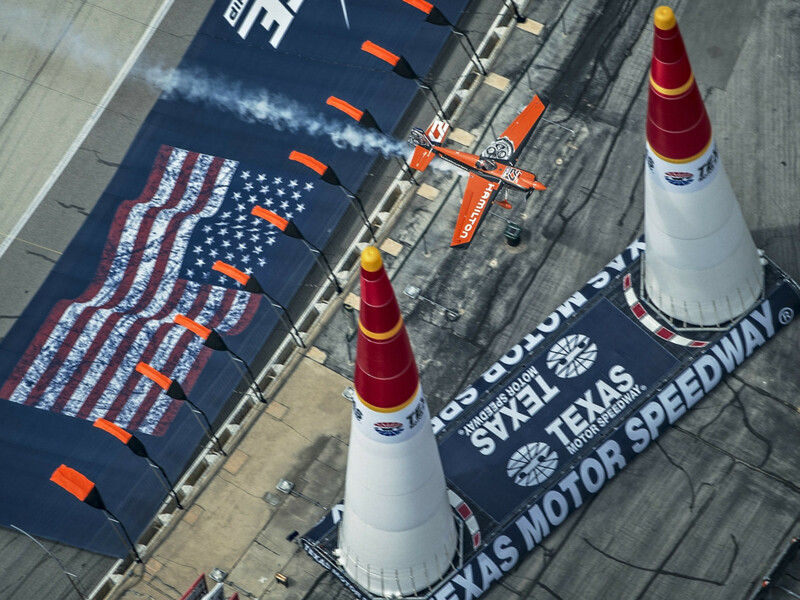 The Red Bull Air Race World Championships returns to North Texas on Sept. 26-27 at the same venue where it made history: Texas Motor Speedway. 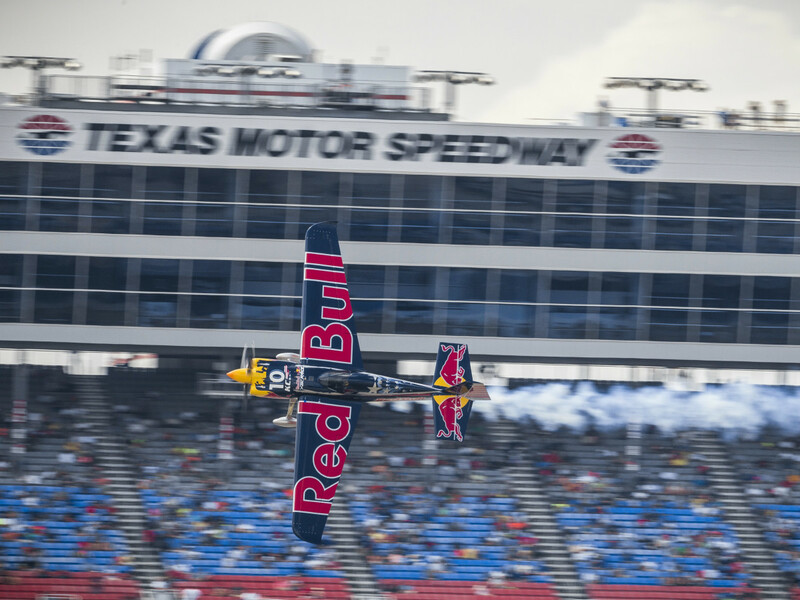 Last year’s historic event drew more than 41,000 fans to watch events that were akin to “NASCAR in the air,” as lightweight racing planes speed inside the 1.5-mile oval at TMS. 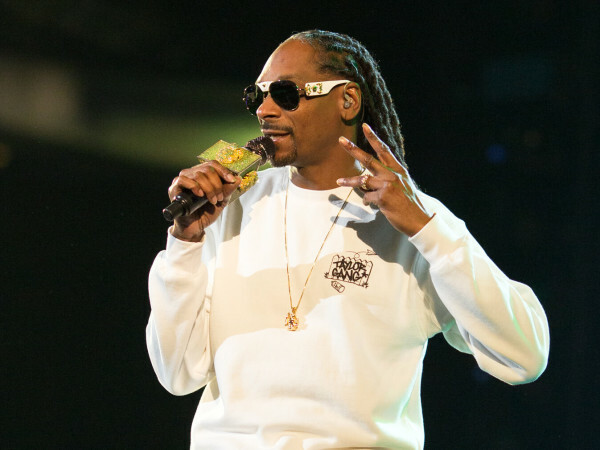 This year’s race is the second-to-last in the international tour, which wraps up in Las Vegas, Nevada, on October 17-18. Previous stops on this year’s tour included the United Arab Emirates, Japan, Croatia, Hungary, Great Britain and Austria. 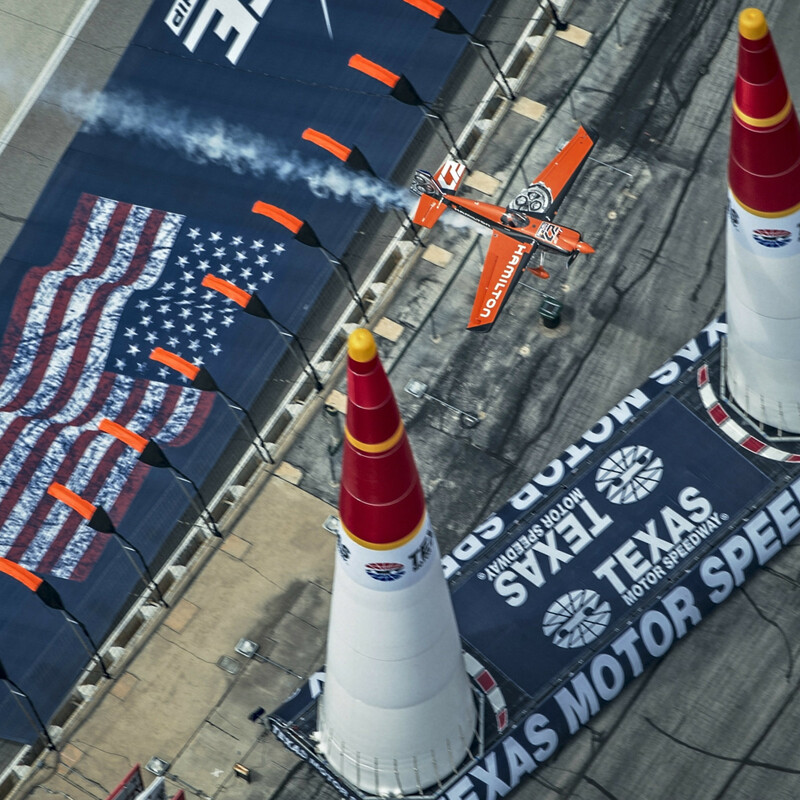 The Red Bull Air Race — entering its 11th year as a world championship event — features some of the most skilled pilots in the world, combining the pure speed of their planes with the precision of navigating an obstacle course that features air pylons, or gates. For those that haven’t seen a race, think of a world-class skier like Lindsey Vonn navigating the gates of an Olympic downhill run, and you have an idea of the thrill of watching these air races. 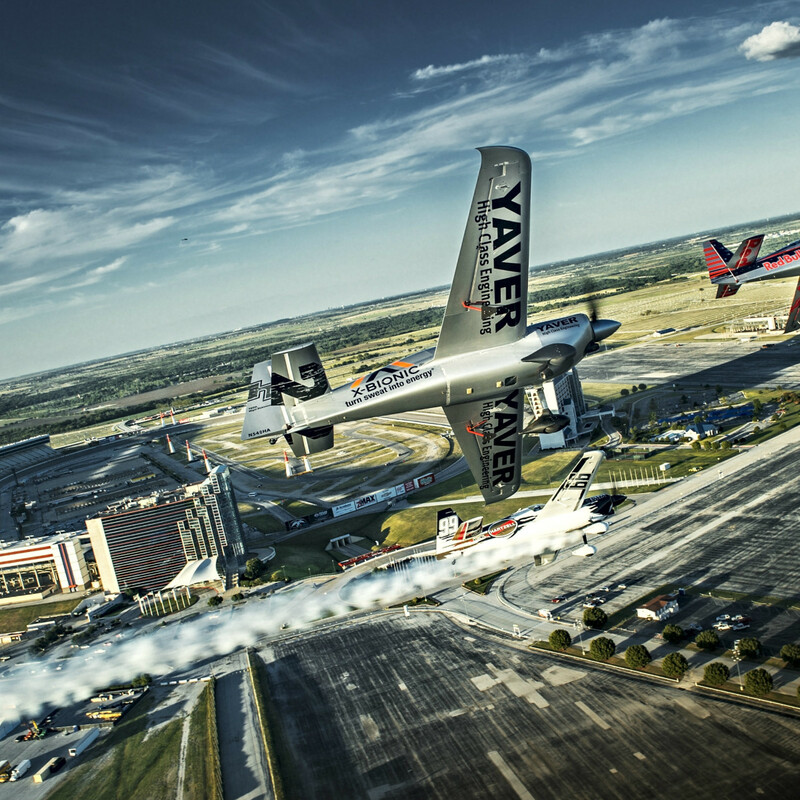 The speeds of these planes can get up to 230 miles per hour, an average speed typical of a NASCAR event. The only difference is these planes are traveling about 50 feet off the ground. Pilots travel the world to participate in the world championships, but one won’t be far from his hometown. Corpus Christi native and two-time world champion Kirby Chambliss will race next month in the Master Class, comprised of 14 of the world’s best pilots. Chambliss is attempting to make up ground in the overall standings after a mishap in the season’s opening race. Paul Bonhomme, of Great Britain, is the current points leader. Race fans can take in the spectacle for as little as it takes to get into a Dallas Cowboys game, as general admission for the race on Sunday is just $29. A full weekend package at general admission is just $39 per person and children under 12 get in free with an adult. Fans can also get up close to the hangar and check out the planes. Reserved terrace seating is available for $39 the day of the race, $59 for a full weekend package. Red Bull also offers Race Club packages ($450 each, with open buffet, climate-controlled environments and premium seating) and Sky Lounge Weekend packages ($950, hosted in TMS’s Speedway Club and featuring international cuisine and hangar viewing access). 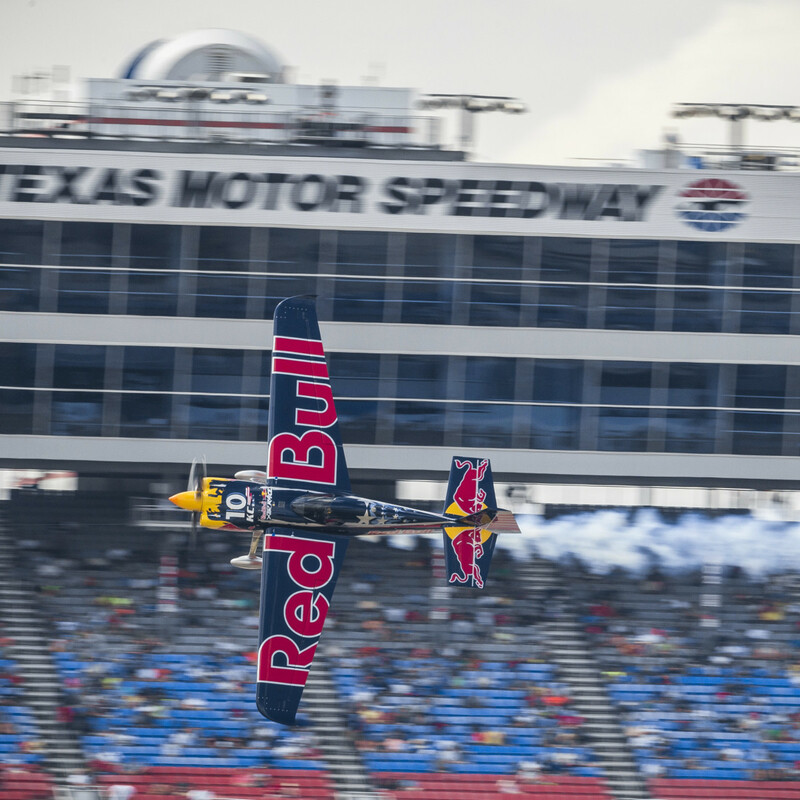 Tickets for the Red Bull Air Race World Championships in Fort Worth are on sale now online and in person at the Texas Motor Speedway ticket office (817-215-8500). Discounts for active military service members are offered.